Omega-3 Supplement Guide: What to Buy and Why! - The Maghreb Times ! Home News Omega-3 Supplement Guide: What to Buy and Why! Omega-3 fatty acids are very important for health. The best way to get enough is to eat whole foods that are rich in omega-3, like fatty fish. If you don’t eat a lot of fatty fish, then you may want to consider taking a supplement. However, there are hundreds of different omega-3 supplements available. Not all of them have the same health benefits. This detailed guide explains everything you need to know about omega-3 supplements. Fish oil comes in both natural and processed forms. The processing can affect the form of the fatty acids. This is important, because some forms are absorbed better than others. Fish: In whole fish, omega-3 fatty acids are present as free fatty acids, phospholipids and triglycerides. Fish oil: In conventional fish oils, omega-3 fatty acids are mostly present as triglycerides. Processed fish oil: When fish oils are processed, either to purify or concentrate them, they become ethyl esters, which are not found in nature. Reformed triglycerides: The ethyl esters in processed fish oils can be converted back into triglycerides, which are then termed “reformed” triglycerides. All of these forms have health benefits, but studies have shown that the absorption of omega-3 from ethyl esters is not as good as from the other forms (1, 2). 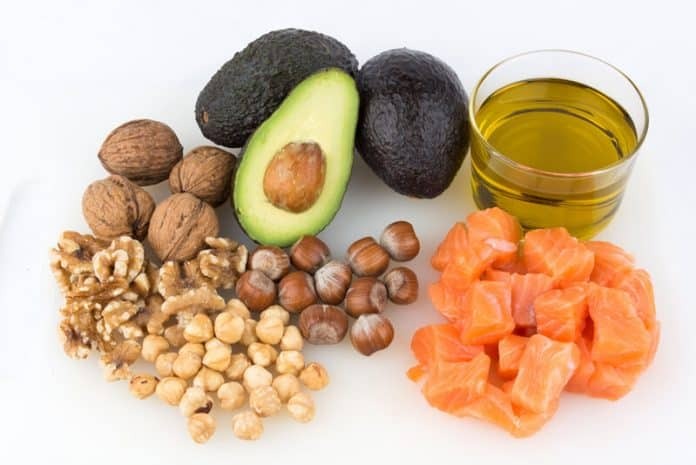 As a rule of thumb, the absorption of omega-3s in the form of free fatty acids (mostly found in food) is 50% greater than triglycerides, and the absorption of triglycerides is 50% greater than ethyl esters (3, 4, 5). Bottom Line: Omega-3s come in several forms, most commonly as triglycerides. Some fish oils that are more processed may contain omega-3 ethyl esters, which aren’t absorbed as well. This is the oil that comes from the tissue of oily fish, mostly in the form of triglycerides. It is the closest thing you can get to real fish. 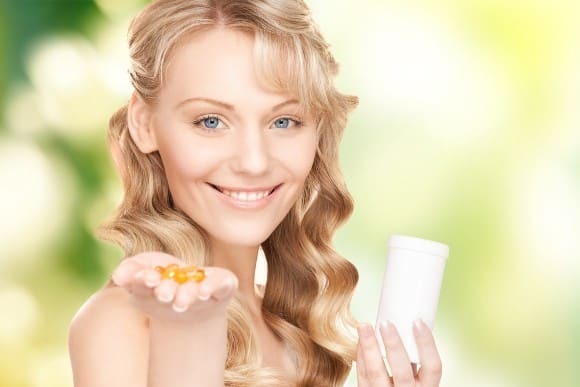 Natural fish oil contains several important nutrients. About 30% of the oil is omega-3 (EPA and DHA), while the remaining 70% consists of other fatty acids that can help with absorption (6, 7, 8). Additionally, natural fish oil contains vitamins A and D. If it is fermented, it also contains vitamin K2. Salmon, sardines and cod liver are among the most common sources of natural fish oil. These oils are usually found in liquid form, and are more resistant to oxidation than processed oils (9). Bottom Line: Natural fish oil contains EPA and DHA. It also contains vitamins A and D, as well as other fats that help with absorption. Processed fish oil is usually purified and/or concentrated, which transforms the fats into the ethyl ester form. Purification rids the oil of contaminants, such as mercury and PCBs. Concentrating the oil can also increase EPA and DHA levels. In fact, these oils may contain 50–90% pure EPA and/or DHA. Processed fish oils make up the vast majority of the fish oil market, as they are cheap and usually come in capsules, which are popular with consumers. The body does not absorb processed fish oil as well as natural fish oil because it is in the ethyl ester form. However, some manufacturers process the oil even further to convert it back into a synthetic triglyceride form, which is well absorbed (1, 10). These oils are referred to as reformed (or re-esterified) triglycerides. They are the most expensive fish oil supplements and only make up a small percentage of the market. Bottom Line: Processed fish oils are purified and/or concentrated. They are more vulnerable to oxidation and less easily absorbed by the body, unless they’re converted back into triglycerides via a synthetic process. Krill oil is extracted from Antarctic krill, a small shrimp-like animal. Krill oil contains omega-3s in both triglyceride and phospholipid form (11, 12). Numerous studies have shown that omega-3 is absorbed just as well from the phospholipids in krill oil as from the triglycerides in fish oil, sometimes even better (13, 14, 15, 16). Krill oil is highly resistant to oxidation, as it naturally contains a potent antioxidant called astaxanthin (17). Additionally, krill are very small and have a short lifespan, so they don’t accumulate many contaminants during their lifetime. Therefore, their oil doesn’t need to be purified, and is rarely found in the ethyl ester form. Bottom Line: Krill oil is naturally low in contaminants and contains a potent antioxidant. It provides EPA and DHA in both triglyceride and phospholipid form, which are well absorbed. The green-lipped mussel is native to New Zealand, and its oil is usually in the form of triglycerides and free fatty acids. Other than EPA and DHA, it also contains eicosatetraenoic acid (ETA). This rare omega-3 fatty acid may be even more effective at lowering inflammation than other omega-3 fatty acids (18, 19). Consuming green-lipped mussel oil is considered to be environmentally friendly. Bottom Line: Another source of omega-3 supplements is green-lipped mussel oil. This shellfish contains several forms of omega-3s, and is considered to be an environmentally friendly choice. Mammalian omega-3 oil is made from seal blubber, and is in the form of natural triglycerides. In addition to EPA and DHA, it also contains docosapentaenoic acid (DPA). DPA is a rare omega-3 fatty acid with several health benefits (20). Mammalian omega-3 oil is also exceptionally low in omega-6. Bottom Line: In addition to EPA and DHA in triglyceride form, mammalian oil also contains a rare omega-3 fat called DPA. ALA is short for alpha-linolenic acid. It is the “plant form” of omega-3. 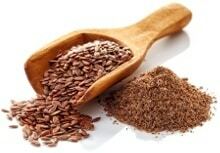 It is found in particularly high amounts in flax seeds, chia seeds and hemp seeds. Unfortunately, ALA is not active in the human body. It needs to be converted into EPA or DHA in order to become useful, but this conversion process is severely limited in humans (21, 22, 23). Most plant oils are also higher in omega-6 than they are in omega-3. Bottom Line: ALA oils are made from plant sources, and contain both omega-3 and omega-6. They do not contain any EPA or DHA, the types of omega-3s that are active in the human body. Marine algae, particularly microalgae, is another triglyceride source of EPA and DHA. Actually, the EPA and DHA in fish originate in algae, and are then eaten by smaller fish and move up the food chain. Studies show that algal oil is even more concentrated in omega-3s, particularly DHA, than fish oil. It may also contain important minerals like iodine. Algal oil is an incredibly good source of omega-3, especially for vegetarians and vegans (24, 25). 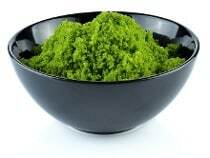 Furthermore, algae is considered to be environmentally friendly and sustainable. 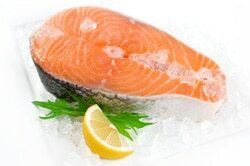 It may help serve the growing world population’s need for omega-3 fatty acids. Additionally, algal oil doesn’t contain any contaminants, such as heavy metals. This makes it a particularly good option. Bottom Line: Microalgae is a plant source of EPA and DHA, in triglyceride form. It is environmentally friendly and considered an excellent omega-3 source for vegetarians and vegans. 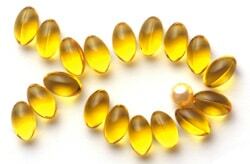 Omega-3 oils are commonly found in capsules or soft gels. These are popular with consumers, since they don’t have a taste and are easy to swallow. The capsules are usually made from a soft layer of gelatin, and many manufacturers also use enteric coating. Enteric coating helps keep the capsule from being dissolved until it reaches the small intestines. This is common in fish oil capsules, as it prevents fish burps. However, it can also mask the foul smell of rancid fish oil. If you take omega-3 capsules, it may be a good idea to open one from time to time and smell it in order to make sure it hasn’t gone rancid. 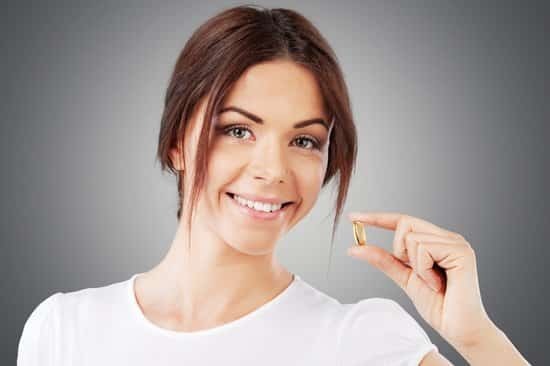 Bottom Line: Capsules are a popular way to take omega-3. However, capsules can mask the smell of rancid oil, so it’s best to open one up occasionally. When shopping for an omega-3 supplement, then you should always read the label carefully. Type of omega-3: Many omega-3 supplements often contain little, if any, EPA and DHA — the most important types of omega-3. Make sure your supplement contains these. Amount of omega-3: A supplement may say on the front that it contains 1000 mg fish oil per capsule. However, on the back you will read that EPA and DHA are only 320 mg.
Form of omega-3: For better absorption, look for FFA (free fatty acids), TG, rTG (triglycerides and reformed triglycerides), and PLs (phospholipids), rather than EE (ethyl esters). Purity and authenticity: Try to buy products that have either the GOED standard for purity or a “third party tested” stamp on them. That shows they are probably safe and actually contain what they say they do. Freshness: Omega-3s are prone to going rancid. Once they go bad, they will have a foul smell, and become less potent or even harmful. Always check the date, smell the product and see if it contains an antioxidant like vitamin E.
Sustainability: Try to buy fish oil that is certified by the MSC, the Environmental Defense Fund or a similar organization. Small fish with short lifespans tend to be more sustainable. Bottom Line: Check your product for type and amount of omega-3. It should contain EPA and DHA in satisfactory amounts, and preferably an antioxidant to combat rancidity. Which Omega-3 Supplements Are The Best? A regular fish oil supplement is probably the best choice for most people just looking to improve their well-being. However, just remember that natural fish oil usually consists of no more than 30% EPA and DHA, which means 70% is other fats. 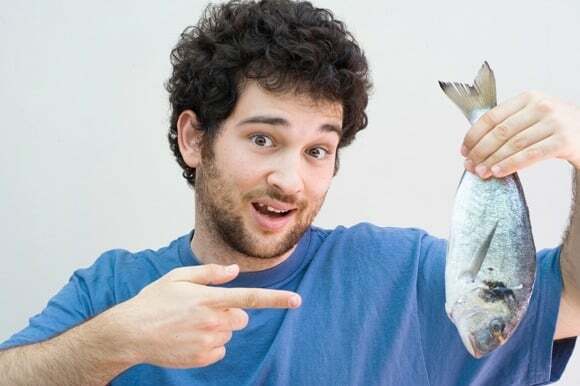 If you wanted to take higher amounts of EPA and DHA, you would need to consume large amounts of calories and vitamin A to get the amount of omega-3 that you are aiming for. In that case, a supplement with concentrated omega-3s is probably a better idea, as EPA and DHA can be as high as 90%. Look for brands that contains omega-3s as free fatty acids (best), triglycerides or phospholipids. Here are a few good omega-3 supplement brands to check out: Nordic Naturals, Green Pasture, Bio-Marine Plus, Omegavia and Ovega-3. Bottom Line: A regular fish oil supplement is probably enough for most people just looking to optimize their health. If you need large doses of omega-3, take a supplement with concentrated omega-3s. For most people, a regular fish oil supplement is probably sufficient. However, make sure the supplement actually contains what it says it does, and pay special attention to the EPA and DHA content. EPA and DHA are best found in animal-based omega-3 products. Vegetarian options are available, but they usually only contain ALA. One exception is algal oil, which is an excellent source of quality omega-3s and suitable for everyone, including vegans. It is best to take these supplements with a meal that contains fat, as fat increases the absorption of omega-3s (26, 27). Finally, keep in mind that omega-3s are perishable, just like fish, so buying in bulk is a bad idea. At the end of the day, omega-3s may be one of the most beneficial supplements you can take. Just make sure to choose wisely.